Michael first met Nicole and Chris at a gym that they have all been going to for the last few years and through getting the wedding planning process found out he was a DJ. After some discussion they knew he could create the fun down to earth dance vibe they were wanting for their big day. 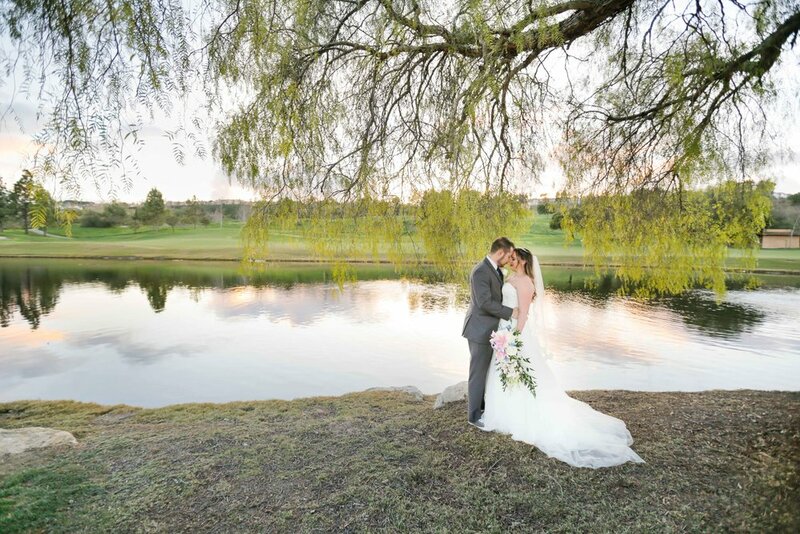 The wedding took place at Aliso Viejo Country Club in Aliso Viejo CA. Nicole, Chris, and Michael went out to dinner to curate their music and give Michael a better idea of the feel they wanted. They explained that many of their guests would have conservative taste. Michael suggested they play a range of songs from various genres like Motown, rock, and pop from the 80s through the early 2000s. They agreed that would fit their guests’ tastes well. Michael ended up playing music from artists such as The Temptations, Jackson 5, Daft Punk, Outkast, Gwen Stefani, Chromeo, MGMT, and Usher. Just to name a few. One of the benefits of working with Michael is his ability to think on his feet and adjust his plan when needed. Initially the forecast called for rain but it was supposed to stop at noon. However it continued to rain and everything needed to be moved inside. Michael and his associate DJ, Matthew, quickly set-up their ceremony sound system indoors to accommodate without a hitch. After a beautiful ceremony it was time to get the dance party started! Michael and Matthew started out by playing some 70s and 80s and quickly progressed to today’s hits. As they played each song they mixed it up with songs from varying genres to cater to the dance floor and the room filled with friends, co-workers, and family. The night ended with a sparkler send off! It was another successful, dance filled night with Michael at the DJ booth.